Half way through this bowl of Edgeworth Ready Rubbed in a very much appreciated 1979 brown, slight bend grain etched flat front Stanwell Rego 969-48 (09) with a black vulcanite stem. Simply Apple is my drink. Now smoking Peretti’s Thanksgiving Blend in a sienna toned slightly etched 1979 signed Rossi 1886 Visconte 245 Oom Paul with a ring around the middle of the shank and an amber acrylic stem. A bottle of Sprite is my drink. Year 1978 MacBaren Dark Twist Roll Cake in a straight black sandblast 2 star Ferndown Bark Prince with a Cumberland stem. 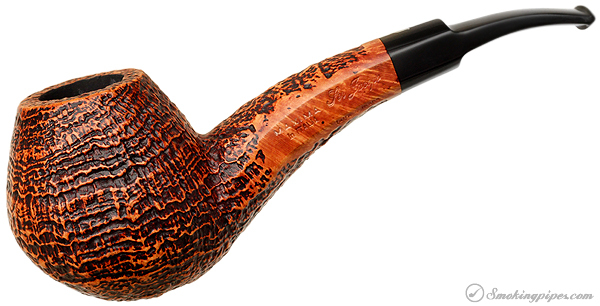 Listing this early: MacBaren Burley London Blend in a 2001 black sandblasted three quarter bend Rinaldo Lithos YY bulldog with an amber colored stem. 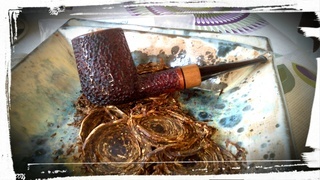 Greetings to all the members from Greece, in the afternoon after my espresso [Guatemala] i rusticated one of my pipes. I am smoking Tordenskjold Virginia Slices while thinking: should i make a 2nd layer more hard or leave it as is? The last of this tin of Yenidje Highlander in a 2003 URAL full bend big bowl egg shaped Lattice meer with a black acrylic stem. 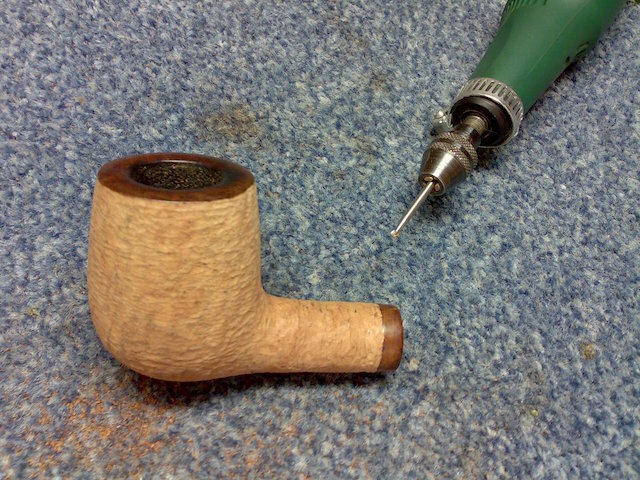 Almost finished smoking STCoP Murray’s 1A Linfield in a 2002 Ser Jacopo Delecta Fatta A Mano R1 sandblast Rhodesian with a smooth extension at the shank with a black acrylic stem. Ice water and bergs is my evening drink. About half way through this bowl of C&D Christmas Blend 2016 in a 2013 MM straight Legend. McC's Christmas Cheer 2017. In a pipe without cement on it. I like it. I'm going to bed now. Half way through this bowl of STCoP Dobie’s Four Square Cut Plug in a slight bend black sandblasted Lorenzo Elba Imperia 8636 with an amber colored acrylic stem. Nearly finished smoking Sam Gawith Bracken Flake in a 1979 medium bend etch relief meerschaum lined TinderBox Arabesque with a black vulcanite stem. About a minute away from smoking Standard Tobacco Company of Pennsylvania War Horse Ready Cut in a 2015 smooth unfinished Savinelli 320KS author with a black vulcanite stem. Just finished work and this bowl of Heine's Blend in the very first pipe I ever bought ($2.49) in 1974; a smooth three quarter bend Dr. Grabow Omega with a black vulcanite stem. 2005 GLP Abington in a medium bend 2001 Ural lattice Rhodesian with a yellow stem with white swirls. Ozark, Can you coment of this blend? Good morning Ladies & Gentlemen, beautiful day here in Greece so a visit in a local Cafe was a "must". after lunch with family, Solani 656 ABF in a Rafa Martin "El Micalet"